Military Transition Resumes (MTRs) need specific techniques to highlight your experience, training, and skills. This is crucial so that the resume conveys information in an appropriate way to federal and civilian employers evaluating your application. 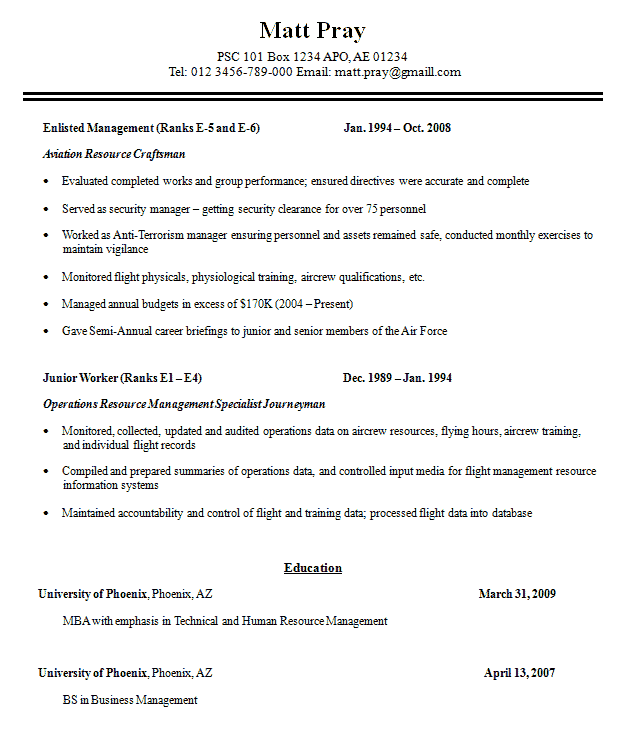 The resume must be prepared so that HR staff and hiring managers can easily understand it. For example, you may have worked as a Platoon Commander but this position doesn't reflect the current civilian job you are seeking. Consequently, you must use the job title Department Manager when you apply for certain positions. The most important thing is that you must write about your achievements and accomplishments in your previous position. This is so that the manager who wants to hire you will fully understand your past experiences and potential success in the open position. Wherever you were a leader, be sure to mention it in your resume. Your resume must reflect strong skills and traits so don't be shy to play up your strengths in the resume. Any unrelated military awards and distinctions should be eliminated. Only include information that can help you during an interview. Your training and experience in the military will make you a highly-competitive candidate in any organization. Many executives value the experiences you had in military and will think you are an advantageous addition to their organization. You stand a good chance in getting a good job. An excellent resume should highlight the values and characteristics that can emphasize your usefulness in a particular job. Hiring professional writers will guarantee you a well-written professional resume that highlights your achievements and skills that are beneficial for the organization to which you are applying. Is it worth risking your success with a new job? 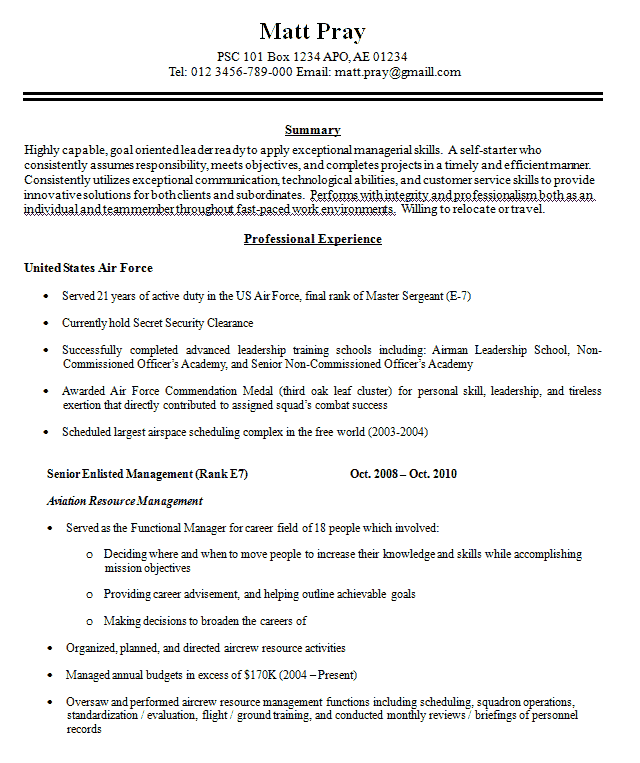 With Resumesplanet.com, you get a perfect, professional-level resume that will help successfully build your civilian career.